There are several benefits offered by homeschooling a hyperactive child. For example, parents have the ability to customize the lesson plan based on a child’s needs and moods each day. Parents also have the ability to call for a “recess break,” if the child needs to get rid of some energy. They can even incorporate moving and motion into the learning process. When hyperactive children are homeschooled, parents also have the opportunity to play to their child’s individual strengths. For example, if a child is easily distracted, but they are a great speaker, they can be given oral presentations as assessments. Also, parents can increase the pace of the learning process to help keep their child from becoming bored, or they can reduce the pace if they can’t keep up or get frustrated. Even better, homeschooling parents can work to limit distractions. This creates the perfect learning environment for their child. While there are several benefits offered to parents and hyperactive children when homeschooling is used, there are still some challenges you may face. Keep reading to learn some helpful tips on how to successfully homeschool your hyperactive child to keep them engaged and learning. Hyperactive children need structure. Even if you are a great planner, it may be challenging for you to create a realistic schedule for your child. Some days, you may think you can accomplish much more than what’s actually possible. In the long run, this can make you and your child feel like failures – but neither of you are. A great way to overcome this issue is by realizing now that there are some tasks that are going to take longer than what you originally planned. If you use a planner for getting organized, write in pencil. Rather than focusing on the completion date of each item, concentrate on the order of the information and assignments. You don’t have to worry about when there’s a specific skill perfected or information learned as long as your child is making progress. In traditional classrooms, teachers often give students busy work. There are several reasons for this. For example, other kids in the class may need to complete an assignment or take a test. The teacher may need to grade papers, or there may be another reason. While busy work may be beneficial in these situations, for a hyperactive child, this is not a recommended learning tool. In most cases, if your child is hyperactive, their attention span is limited. As a result, you need to make sure that all instruction is meaningful. You can’t be afraid to change or modify your lesson plan based on your child’s unique needs. This will help to maximize the time you have their attention, rather than spending it on menial tasks that offer no real educational value. While you have likely heard this tip (time and time again, in fact) the truth is, it’s important. It’s so important, that it is worth mentioning one more time. When a child learns about something they are interested in, their comprehension is going to go through the roof. For example, does your child love planes? If so, try to incorporate this curiosity into some of the lessons you teach each day. For example, read plane related books, have spelling words that relate to planes, or even work on math problems about planes. The sky’s the limit. If you know your child’s interests, you can create a lesson plan will resonate with them and get them excited. This makes teaching and learning that much easier. You may put too much stress on yourself, trying to do the same thing that everyone else is. However, this isn’t good for you, or your child. Instead, try to relax and remain focused on what is best for your child. There are many hyperactive children who are also considered to be gifted. As a result, you can tailor your learning program based on your child’s needs and gifts. There are some children who can complete and ace college courses while still in high school. Take some time to figure out what your child’s learning style is. Once you know this, you can adjust your child’s activities and assignments to fit their learning style, which will be a great advantage. This doesn’t mean that the child still won’t struggle with hyperactivity issues or that school is going to get easier, but this should help them enjoy the process of learning a bit more, and help you take out some of the frustration that may accompany it otherwise. Utilize Multi-Sensory Methods – Don’t be Afraid to Move! One of the many issues children who are hyperactive face in a traditional classroom setting is having to sit still in one place for long periods of time. A great way to overcome this is by using stress balls and stretchy toys. Your child can play with these when they feel fidgety. You can even have your child sit on an oversized exercise ball, rather than a traditional chair. They can even act out their vocabulary words. All this will enhance the learning environment while removing the necessity to remain still. Consider this – it is going to be much easier for you to get a good 10 to 15 minutes of undivided attention from your child than trying to make them pay attention for 45 minutes. The 10 to 15-minute sessions will result in more retention of what’s taught because the child won’t be fidgety, which means they can focus on what you are teaching them. The longer a hyperactive child is forced to sit, the less comprehension will be understood. Take some time to figure out how long you have for each lesson, and then use that to your advantage. Several smaller sessions where your child is more focused is going to produce better results than a longer session where your child is fidgety and distracted. You don’t need to try and teach a goal that isn’t necessary. Trying to do this is going to drive you and your child crazy. You don’t have to do everything that a packaged course has assigned just because it has been assigned. Instead, take some time to assess your child’s abilities and then alter the program as you see fit. For example, does the student need more or less repetition than what the course has outlined? Can you use a different teaching style or method to make it more effective? You have to be willing to be bold and not look back or doubt yourself. The fact is, you are going to know whether or not you are making any progress if you make goals that are clear, defined and measurable. Make sure that the curriculum is your guide, rather than feeling as though you have to do everything that is presented. You need to focus on what works for your specific child. If you take this approach to your homeschool teaching, it’s going to help and take the edge off and help you complete assignments at your child’s pace and ability. In some cases, you may have a child that needs additional motivation to remain focused and get things done. If this is the case, then you can think about implementing some type of reward system. For example, you can create a chart with stamps or stickers to track what has or has not been done. Also, make sure you have set clear boundaries regarding what you expect and what type of reward will be received. While all the tips here can be extremely beneficial, you still need to remain aware of signs your child is giving that may indicate it is all too much. Even if you discover what your child likes, how they learn and other factors, you may still overdo it, resulting in your child being overwhelmed and frustrated with the process. Remain aware of your child’s actions, their mood and how they feel when completing tasks. When you do this, you can take notice when something may be too much for them and when changes need to be made. Some parents fail in this area, and that’s fine – it happens. It won’t really hurt your child, as much as it hurts you. If you try to be hands-on with every assignment, lesson plan, and worksheet, you are going to reach a point of exhaustion. This is especially the case if you have other children. You have to teach your child to work independently. If you fail to do that, then you may face burnout. In the mid portion of the 1990s, there wasn’t much information regarding a child’s diet and cases of hyperactivity. In fact, at this point in time, everything available basically said the same time – there was no proof of a correlation between your child’s diet and their behavior. However, there is growing evidence that this may not be true. By making small dietary changes, you may be able to improve your child’s focus and attention. Food additives: Anything that is modified using BTHT, BHT, MSG, etc. needs to be avoided. The best way to avoid it is by not purchasing it to begin with. Try to find natural preservatives, such as Vitamin E and tocopherols, instead. High fructose corn syrups and anything that contains corn syrup: This is actually bad for everyone, but especially problematic for those who are hyperactive. Food coloring: It’s imperative that you only purchase food that uses natural substances to create colors, such as beet juice, annatto, and other substances. Omega-3 fatty acids: Through the years it has been discovered that this particular supplement can be extremely beneficial. Foods that are high in good fats: Some examples of these types of foods include avocados, good oils, and nuts. Vegetables, Fruits and whole grains that are high in fiber: This includes things such as whole grain quinoa, brown rice, and oatmeal. While it may take a bit of time and effort to make these changes, when you do, you may see a whole new side to your child. Also, these changes are good for your child, as well as everyone else in the family. 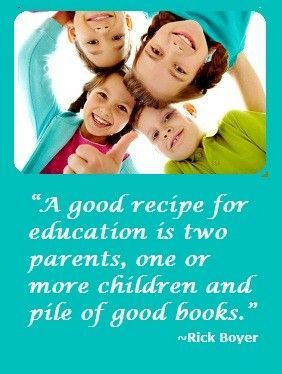 It’s also well worth it if you can achieve any improvement on the focus your child has for completing school work. This isn’t as much of a paradox as it may sound like. In some cases, kids who are hyperactive need some type of structure to their day-to-day activities. It will help them “keep it together” when they know what’s going on and when. It can also help to teach them better organizational skills, which is something that many hyperactive children lack. However, what you need to remember is that you have to remain flexible if you are trying to teach a child with this condition. There has to be some room for spontaneity. After all, it’s going to happen regardless of if you like it or not. The key is to find a balance that works for you and for your child. With the tips here, you will be well on your way to creating a plan that works for you and your hyperactive child. Don’t give up. There are plenty of other parents who are facing the same challenges as you and who will be more than willing to let you in on some of the things that work for them. 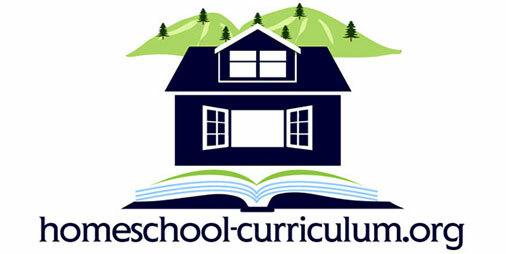 Reaching out to others is a great way to get more help in planning an effective homeschool curriculum for your hyperactive child.